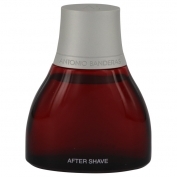 Spirit for Men by Antonio Banderas is a Oriental fragrance for men. Spirit for Men was launched in 2003. Spirit for Men was created by Pierre Wargnye and Rosendo Mateu. The fragrance features amber, patchouli, cinnamon, musk, lemon, neroli, incense and bergamot. This perfume is the winner of 2 awards: FiFi Award Best Packaging Men`s Popular Appeal 2005 and FiFi Award Fragrance Of The Year Men`s Popular Appeal 2005.